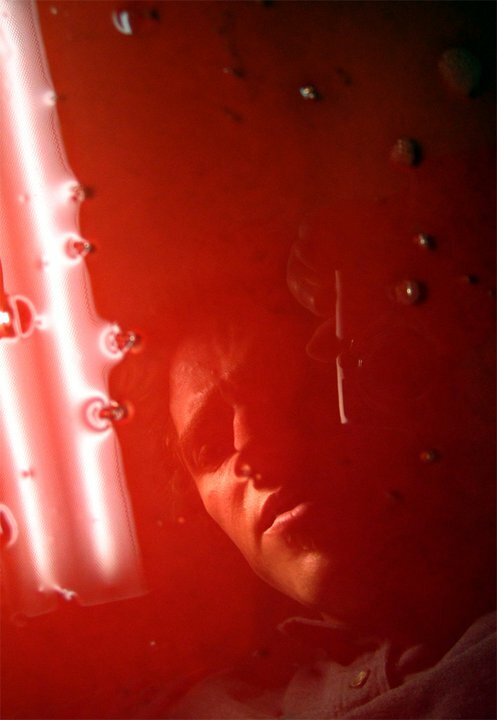 What drives an artist to paint with their own blood? For me it has been my interest in biology, anatomy, and figure painting. Before I'd set my mind to become an artist I had considered being a doctor. The human body has always fascinated me biologically as well as aesthetically. As a child, for every art book that I owned I also had a science book right beside it. During the latter half of my college education the discouraging reality of being an artist, a starving artist, weighed heavily on my mind. I was convinced that the true value of art was only realized in the artist's death. I knew I was good at painting, drawing, and other art forms, but the world is flooded with good artists. Many of which go unnoticed because there are even greater artists. I knew that if I truly wanted to be an artist it wouldn't be enough to be a good one. I needed to be a great one. Many of the artists out there who work with blood focus on and glorify the raw, controversial, and darker aspects of blood. My work breaks away from those stereotypes and presents blood in a humanistic light. Blood has too often been twisted into a dark and horrific symbol; when in reality it is a life sustaining substance that is a part of us all. As a figure painter my subject matter revolves around the human body. And what could be more intriguing than depicting the body with its own blood? My self-developed process, referred to as BloodWorks™, came through a lot of trial and error experimentation and inspiration. With great support and encouragement from my professors and fellow art students, during the end of my bachelor degree, I continually refined my technique to a point I felt confident that I could stick with it. Before blood I painted primarily with oil paints. To mix my colors on, I used a pane of glass as a pallet. That pane of glass would later become the Plexiglas surface for my blood paintings. My choice of materials was further reinforced by scientific equipment such as microscope slides that allow light to pass through the specimen coating the clear plastic. The plastination process developed by German anatomist Gunther von Hagens played a key part in the inspirational development of my process; although my own technique is very much less advanced than that of von Hagens', it draws from similar concepts of human biological preservation.